I have never been any good at winning. Under-aged and too small during high school, although I tried awfully hard, I was never the athlete I aspired to be. I ran fast but not as fast as others. I could throw, catch and hit but others could do it better. And others also passed or caught a football better than I. This never-winning problem extended in later years to lotteries and casinos as well. While some friends became casino legends, winning easily on the poker machines or the slot machines, I only wasted my money. With lotteries I always lost except for one time when I came within one number of becoming a millionaire. Matching all the numbers but one on the Arizona Lottery at the time won me about $1300. But coming so close to the big prize and not getting it made me feel like I had lost. But a long time ago when I was 12 years old, I did win something – a kite contest. For some reason that I cannot now recall, the Stewart family sponsored a kite contest for local children and appropriately it was to take place in March. I do not recall any hard and fast rules – that you had to be within a certain age range or that you had to make it yourself or simply fly a kite bought at the five and dime store (remember those – with the wood pieces, the paper kite already with string in the edge folds rolled up together and sometimes even with a wad of string?) There must have been a make-it–yourself rule, otherwise where did the competition come in? Maybe since you bought the kite and assembled it you qualified as having made it. And, most importantly, what exactly was winning? Was it the biggest, the most colorful, the strangest shape? Was the winner the kite that flew the highest? All this I wonder about today but in the end, the way the contest concluded, it really didn’t matter. What I remember vividly, however, is the process of making my kite. 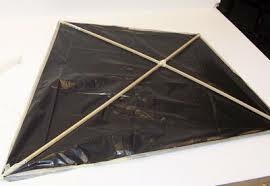 It was a traditionally shaped kite but extra big and extra strong. I began with some pieces of quarter-round trim my Dad had, then sawed them the right length, one about five feet long and the other about four. Then, securing them in the vise, I used his wood plane to shave off the curvature and make the sticks flat. Crossing these two pieces of wood and fastening them with string formed the five foot long by four feet wide frame of a very large kite. I then filed notches in the ends of the wood pieces and stretched some very strong nylon string around the frame. I had obtained some plastic sheeting and cement, so then cut a piece of the sheeting a couple of inches bigger than the frame, then folded the edges over and cemented them. Now I had a very big and very strong kite, unlike many others I had flown. I punched a couple of holes in the plastic on the vertical piece of the frame and then used more nylon string to fasten what I think is called the bridle, a vertical string fastened to the longer piece of wood a little above the cross piece and about halfway down the bottom part of the longer piece. Then I punched holes in the plastic on the cross piece and tied a string between these points, wrapping it around the vertical bridle for stability. Then I fastened my kite string, also the same strong nylon, to the bridle at the point it was tied to the horizontal string. I then made a tail for the kite out of pieces of cotton rag tied in bows and looped in another length of string and fastened it to the bottom of the kite. I still didn’t know if the kite would fly. I only knew that it was built using the correct dimensions but was simply much bigger. And it was so heavy, I knew it would need a serious wind to get off the ground – it likely would not fly in a mere breeze. Then the day of the kite contest arrived. I was lucky – it was a very windy March day, a little chilly, not much sunshine but big gray-white clouds rushing across the sky. Well at least there was wind, quite necessary for the contest, but the wind was very strong and even seemed to be increasing in intensity on this March afternoon. I think there were maybe eight or ten other kids who had brought kites that day for the contest. I don’t remember much about the other kites except that there were a several store-bought kites among them. The appointed time came, and we contestants ran about to give our kites a push into the air and then reeled out enough string so they could continue upward. As I said before the wind was strong. Once up in the air, all of the kites had no problem ascending. But the wind, much stronger up high, started catching many of the kites and driving them out of control. Many spun crazily, broke and crashed to the ground. Others seemed to weaken and break more gradually, but still ended up spiraling dizzily to the ground in a pile of debris. Several that did not spiral out of control were driven so strongly by the wind that the string mooring them to their masters broke and the kites blew away, landing who knows where. Mind you, all of these collapsing and broken kites, despite their shape, were made of wood and paper. But my kite? At first my kite, bigger than most of the others, was simply one of many. Then it was one of a few. And at last, my kite, made of strong wood and cemented plastic sheeting, and connected to its maker by strong nylon string was the only kite left in the sky, sailing high and majestically in this March gale, held upright by its long rag tail. So what was Mr. Stewart to do? All criteria for winning had to be scrapped – it didn’t matter what the rules specified – my kite was the only kite that stayed in the air that windy day. 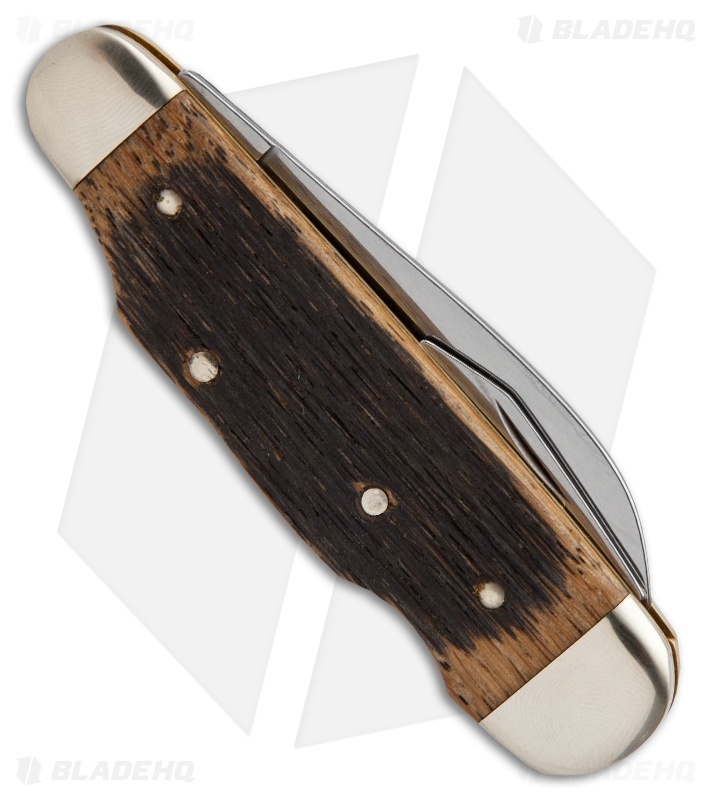 Yes, I won, finally won something – in this case, a boy’s dream, a pocket knife with four strong shiny blades and a genuine bone handle.